I like to upcycle bits of old or new jewelry, so that certain favourite bits can be embellished and hooked on to different chains or charm clusters on other necklaces. 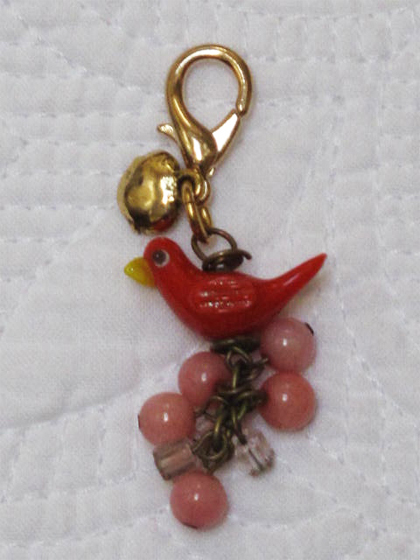 The whimsical birdy came from Anthroplogy several years ago, and I wore it much more often than I had expected. When it broke, I decided to give it a new life as a charm. May your life be charmed as well dear blog reading buddy.